Cravats are easy accompaniments to boys special occasion outfits, cravats go especially well with boys suits which include a waistcoat. In particular, clip on cravats, like this one, are convenient as you do not need to know how to tie cravats in order for a cravats to be part of the special occasion outfit. Cravats like this one can be worn with boys suits for special occasions such as weddings in order to create a formal appearance. 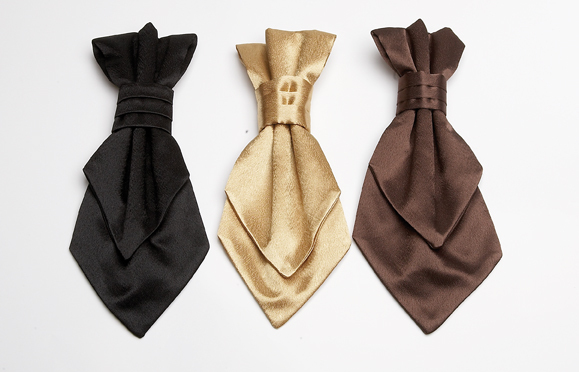 The soft plush satin from which this cravat is made has a luxurious feel to it and gives a cool and sophisticated appearance to whatever boys special occasion outfit you choose to partner it with.